Day One- Arrive in early afternoon. Orientation, unpack into your dorm, get snorkel gear, have a swim test and snorkel training. Then learn about nearshore marine communities in the waters off Pigeon Key. Dinner, then an evening program. Day Two- Breakfast. 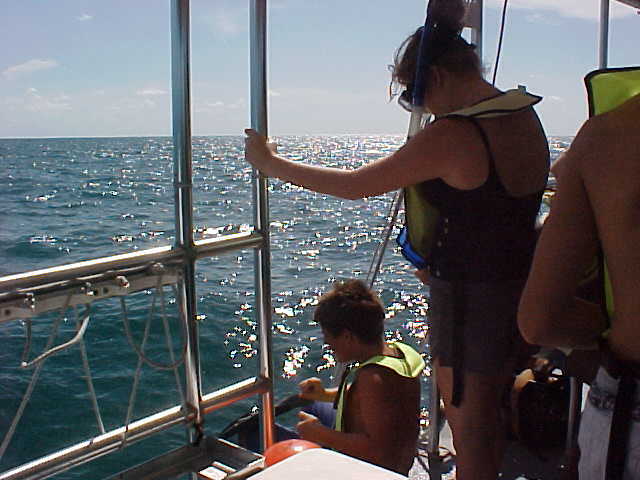 Then gear up for a snorkel trip to Sombrero Reef at 9 a.m. on the "Spirit" power catamaran. Return to Pigeon Key for lunch. Afternoon program on "where the land meets the sea" Rocky shoreline, mangroves and the beach. Dinner, then an evening program on Keys? Day Three- Breakfast. Final snorkel? Or a history tour of Pigeon Key and our Museum. Check in snorkel gear, clean rooms, pack. Lunch at 11:30 a.m., then on your way. Snorkeling takes lots of time! The Marine Magnet students go to various sites along Ft. Lauderdales NewRiver, testing the water quality. They learn how to use a water testing equipment such as a refractometer, colorimeter, YSI and Lamonte test kits. They test water quality monthly and do a yearly report based on their findings. Magnet students go to John U. Lloyd to study about the Hardwood Hammock. They also study the marine ecosystem and learn various sampling techniques such as how to use seine nets and dipping nets. Students aslo learn about sea turtle nesting at this unique site. Within sight of downtown Miami, yet worlds away, Biscayne protects a rare combination of aquamarine waters, emerald islands, and fish-bejeweled coral reefs. Here too is evidence of 10,000 years of human history, from pirates and shipwrecks to pineapple farmers and presidents. 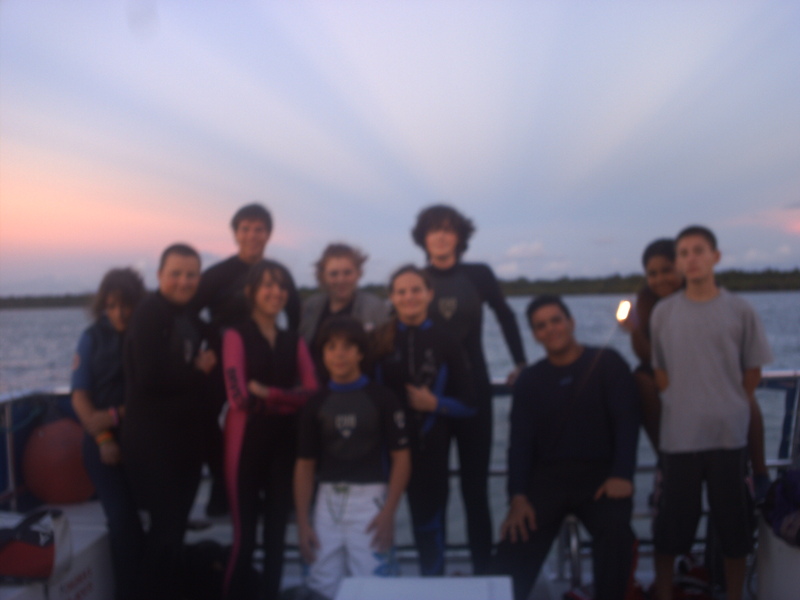 Marine magnet students get to take a two hour snorkel trip to one of the many reefs in Biscayne Bay.